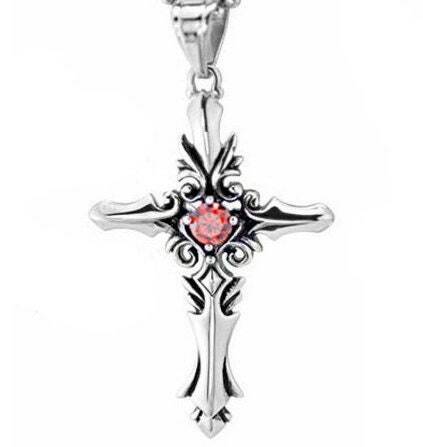 Classic Timeless Awesome Silver Vintage Gothic Filigree Rhinestone Cross Pendant. 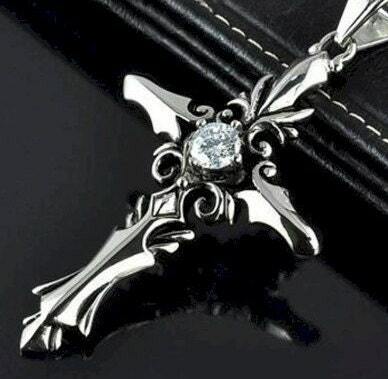 Made of Stainless Steel to never dull. 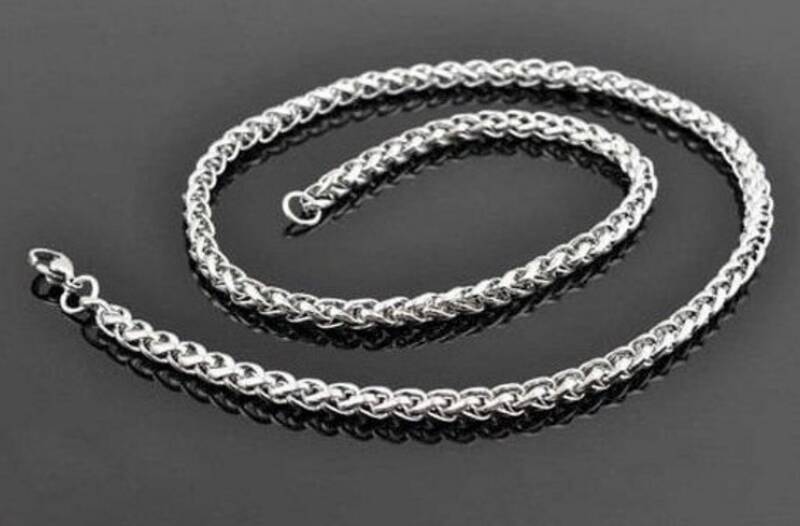 o 17” x 1.5mm 18k white gold plated chain with positive locking lobster clasp. 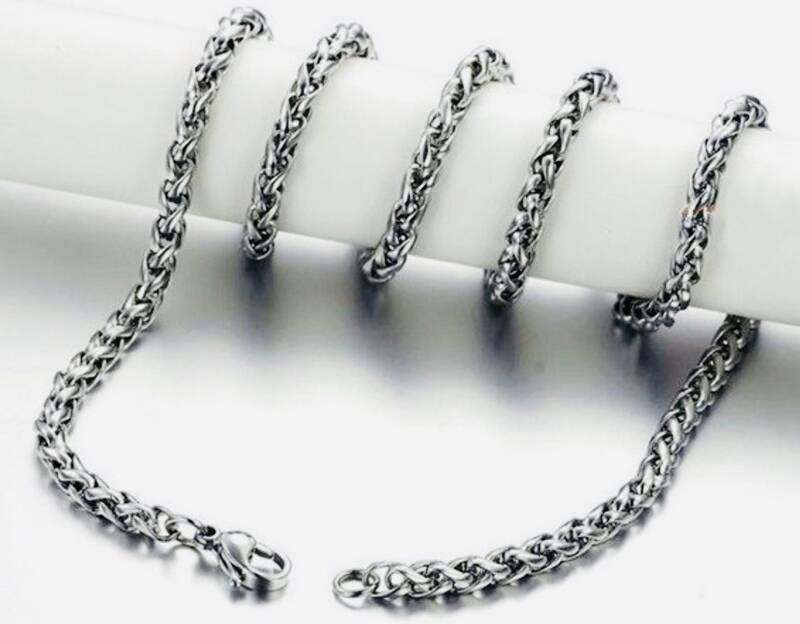 o 20” x 4mm Heavy Braided Stainless Steel chain that comes with a lobster clasp.